There are many reasons why women consider having breast implant surgery. Many times, it can be because a woman feels inadequate with her current size, shape or firmness. 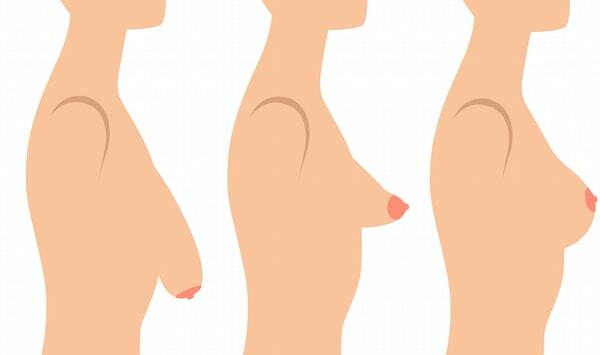 Breast shape and size will change due to age, diseases or the fact that she just doesn’t have the same fullness as she did before giving birth. This can all play a part in a woman’s self-esteem. Studies have shown that women who have poor self-esteem due to a lacking self-image can find happiness and satisfaction by having a breast augmentation. Other women opt to have a breast implant procedure done as a means of reconstructing the breast after a medical procedure. Whether the surgery was an elective procedure for cosmetic reasons or a reconstructive surgery for medical purposes, these breast implants will eventually need to be removed and/or replaced. Breast implants are not permanent. It is important to remember that once you have a breast implant procedure, you will need to have more surgeries in the future. According to the Food and Drug Administration, around 20% of the women who underwent breast augmentation surgery had their implants removed within ten years of receiving them. Why? Although technology is constantly growing and changing, breast implant techniques have not created a permanent solution. Also, with every surgery there can be complications. Some woman can experience pain or infection due to the implants while others can experience wrinkling or capsular contraction which is a condition where the surrounding tissue of the breast implant hardens. Many women experience the deflation or rupturing of their breast implants. If just one of the implants deflates or ruptures, it can be very unappealing for the woman as her breasts will now be two different sizes. Some women may consider just having these implants removed. Others may opt to simply have the implants corrected. However, a patient may have already paid the cost of the initial cosmetic implant surgery and is curious if insurance will cover the bill for a faulty implant. Will your insurance cover the cost of these implant removals and/or corrections? The answer to that question depends on several key factors. When breast implants are necessary due to reconstructive surgery following the trauma of injury or from a mastectomy, many insurance companies will cover the cost or at least a percentage of the cost. This includes surgery to correct both breasts even when only one breast is affected. Reconstructive surgery on both breasts may be medically necessary in order to create breasts that match in shape and size. However, if the augmentation is simply for cosmetic purposes, the insurance companies often mark these procedures as unnecessary and will not cover the initial surgery. However, it is possible that some insurance companies will cover the cost of implant removal if it becomes medically necessary for the patient. When does breast implant removal become medically necessary? Whether the initial surgery was performed due to a medical condition or not, some insurance companies may consider breast implant removal medically necessary if the implant is continually causing infections or if the implant is protruding through the breast. Insurance companies will not pay for the implant to be removed if the implant was initially placed for cosmetic purposes and then became deflated or ruptured or if the breasts became asymmetrical. Since silicone filled breast implants have not been linked to breast cancer, connective tissue disease, auto-immune disease or impaired reproduction, the insurance companies will also not pay for the removal of these implants due to a patient’s concern of developing these issues. However, if the initial implants were considered medically necessary, the insurance company will most likely cover the costs of removal or a follow-up surgery to correct an infection, deflated or ruptured implant. Doing research online will help patients gather more information about this issue as well as questions to ask their doctor. Remember to ask your doctor and your insurance company plenty of questions and be aware that having breast implants is a lifelong process. Breast implants can provide a woman with many benefits but it can also cause many risks. Be sure to weigh all of your options before deciding to have a breast augmentation procedure.